You’ll notice right away that the whole atmosphere is light and jovial. These kids want to be there and they know most of the other students already, as well as the parents and siblings. Not only will you see young adults enjoying their evening (you know a real smile when you see it) and making sure each guest gets to dance, but chaperones who happen to be some of the students’ parents (since they’re the teachers too) are actually appreciated and sometimes drawn into the soirée. In fact, you probably won’t find a security guard there because these students trust each other. It’s because the community at large that doesn’t share the same high moral standards that this group of home schoolers do that one or more of the chaperones would be a CHL holder, martial arts instructor, or law enforcement officer (here again, a parent); everyone would know it and wouldn’t mind it a bit. The same attitude taken by the home school family’s choice to educate their children differently than the norm, is also evident in their choice of extra-curricular activities they encourage, which includes dancing. Some home school groups offer a Father-Daughter Banquet or a Valentines Day Dance. When it comes to the Prom, that same aire of “We want to be like everyone else, but we want to do OUR way” is there. Some Proms go all out with dance cards, real ball gowns, and tuxedos. Most of them require classic dancing, such as the Waltz or the Salsa. Some students like to show off their talents and reveal they know an Irish Jig or or other ethnic dance. Many students will have had dance lessons. The Homeschool Prom is definitely one the favorite events of the year! One of the best features about the Homeschool Prom, is that no one is sneaking alcohol, drugs, smokes, or intimacy (not even afterwards!). Our favorite feature of the dance is the proper etiquette of these young men and women, showing off the evidence of great parenting. If you haven’t been to one yet, you should. (1) Home School Prom 2015 – Join us for a Masquerade Ball! This dance is actually closed at this time. Hopefully you can catch it next year. This group will dance the night away late this month. There will be a theme, portraits, a DJ, formal dancing to several dance genres, and a special dinner and dessert. They’re considerably more expensive, yet provide a whopper of a Prom! 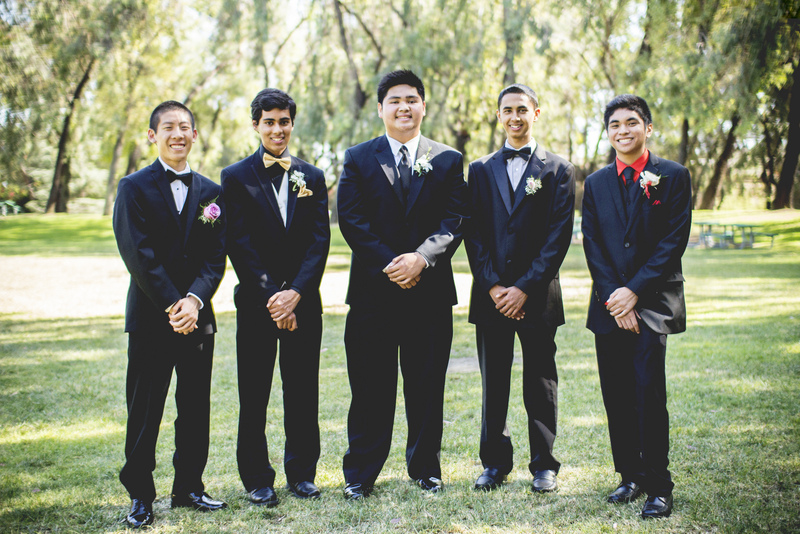 Over the years, this prom has been held in country clubs, conference centers, and fancy hotels. They require formal attire, to follow a Christian code of conduct, and annual dance lessons (with several options), which also have a price, but hey, they also have door prizes! Dance cards are used to assure each person has a chance to dance with a partner. Many parents love to be involved in their child’s prom adventure as an organizer, helper, or chaperone. They are not only heavily used, but newbies are also desired; just ask. Their FAQ link more fully describes their policies. Here’s the website to check out their pic: http://christianhomeschoolformal.com/. You can also Follow them on Twitter at @hsformal. 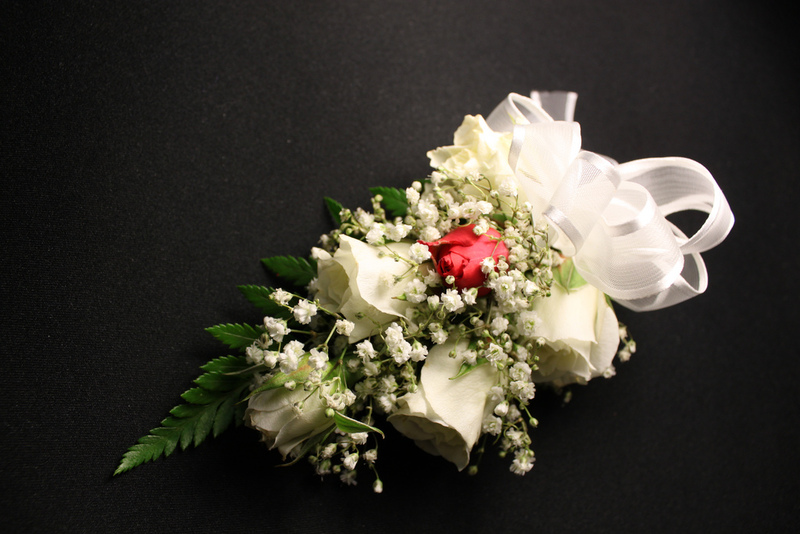 Corsages are often given to each other at Prom. (3) The Texas Christian Homeschool Prom. This prom was held in Dallas, Saturday April 25, 2015. Take a look at their website which features an intricate description of every detail as it relates to their theme, The Chronicles of Narnia, complete with book synopses, audio book links, and quotes: http://www.texaschristianhomeschoolprom.com/default.php. There are several pictures throughout their website to give you a feel for who they are, how to dress and behave, and how the parents are involved as well. In fact, parents are so vital to this group’s endeavor, that it is required that you work for each of your children or your invited guests attending. This group also offers T-shirts and a Timeless Tribute mémoire. If you’re into videos, here’s an old YouTube vid of the 2013 prom to give you an idea of what it’s like: https://www.youtube.com/watch?v=oY1TWIfQ6PI. (4) The ENAACT Family Academy Prom was held in New Braunfels on April 10, 2015. E.N.A.A.C.T stands for The Educational Network for Academics, Arts, and Character Training. ENAACT will have their Graduation ceremony on May 22nd. Read up on this organization’s activities at http://www.enaact.org/. The Hill Country Christian Homeschoolers will have their Graduation ceremony on May 2nd in the Bulverde/Spring Branch area. 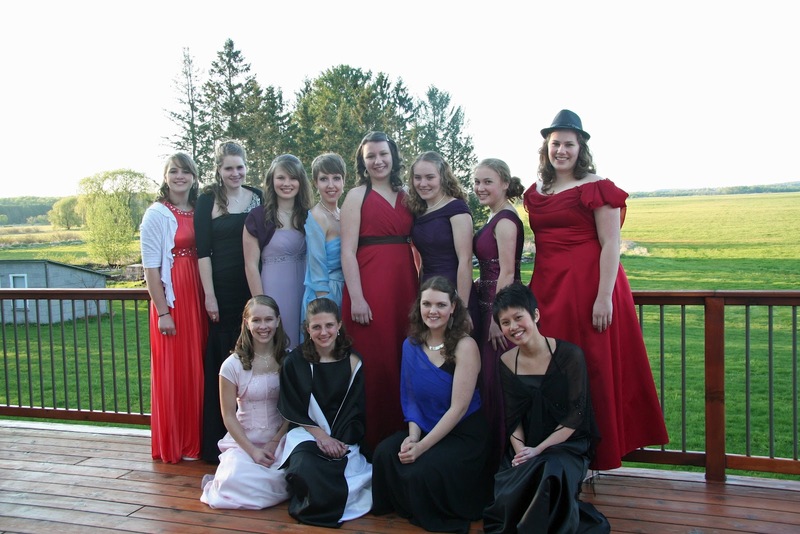 What Prom-like events has YOUR home school group offered? Next Next post: ROT week in Austin!